How do I know this? 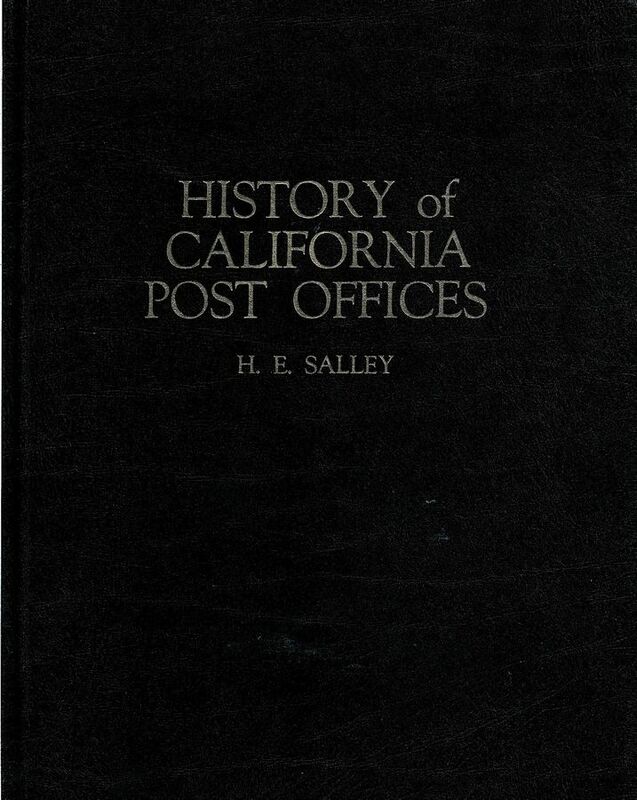 Well, the book, “History of California Post Offices by H.E. Salley” says so. 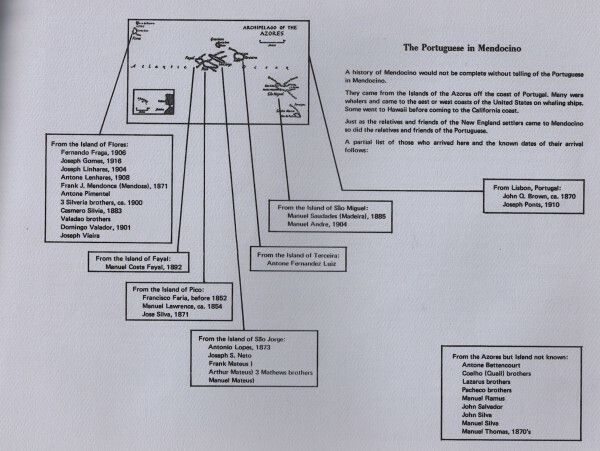 The book says there were two Mendocinos. One, the one we know, is seven miles south of Fort Bragg. There has been a post office there since December 1st, 1858. 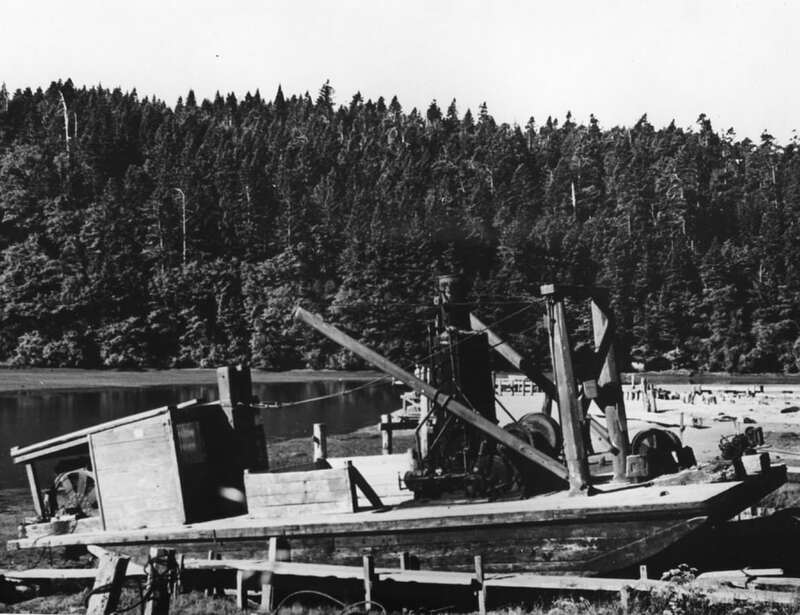 The second Mendocino was named after Cape Mendocino and was located 36 miles south of Eureka. The post office was established there on the 19th of October 1852. Cape Mendocino was then part of Mendocino County and later became part of Humboldt County when it was created on 12th of March 1853. 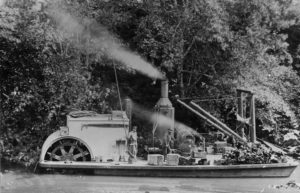 Mendocino #2 later became known as Capetown. The post office didn’t last too long – it closed on the 20th of December 1853. Posted in Mendocino, Mendocino Coast, CA , Local History, Towns. I had never heard of the word “freshet” when we moved here (Fort Bragg, CA.) in 2000. It wasn’t part of my lexicon. 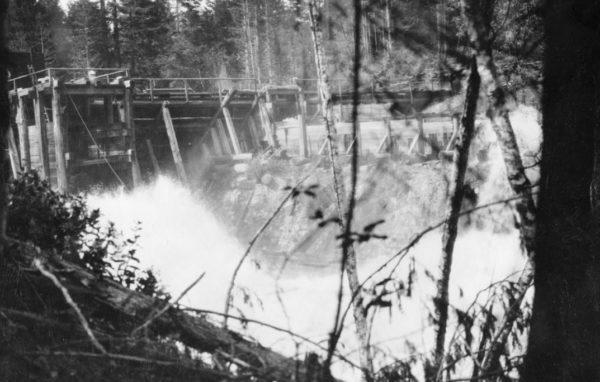 It turns out that a freshet is, “the flood of a river from heavy rain or melted snow.” In the early years we lived here was a relatively dry spell. There was a fair amount of discussion among club members as to whether the weather was normal or abnormal. In order to settle the discussion I and another club member decided to measure the width of the 911 tree rings in the slice of trunk. The more rain the wider the tree ring. I sent our tabulation to a Professor friend at Columbia University in NYC for analysis. The result of the analysis was that there were no regular cycles of more/less rain. 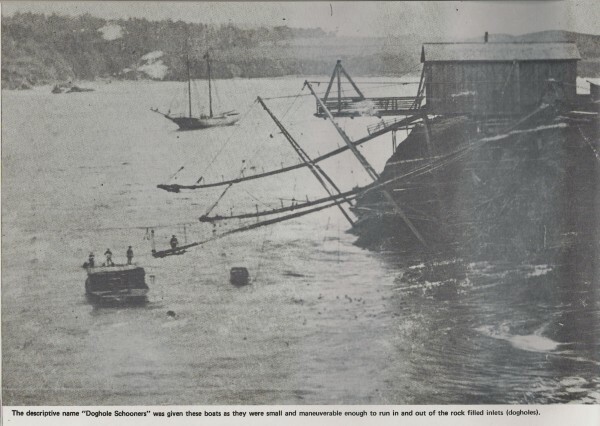 There were years when the rainfall must have been horrendous. 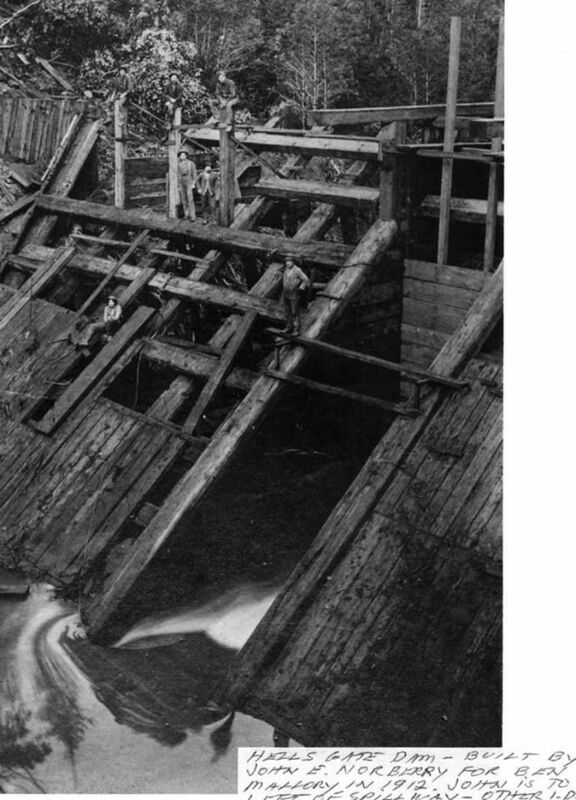 There were years when the rainfall was minimal. Which means that this year’s very heavy rainfall is not out of the ordinary. Posted in Mendocino, Mendocino Coast, CA , Local History. Club member Earl Craighill brought this book to our weekly Wednesday brekkers meeting a couple of weeks ago. As the club’s historian I am always interested in books, articles, pictures etc. which amplify what we already know of the railroad and logging operations along the Mendocino Coast. Earl, generous soul that he is, soon granted me the opportunity to take it home and have a long butchers. When I first came to the Mendocino Coast in the early 1990’s I was told that you could identify the houses of the Azorian fishermen by the abalone shells decorating their houses. 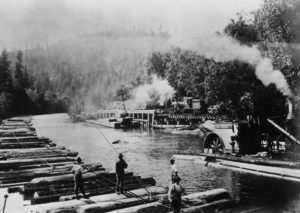 If you look closely at the photo you can see that the finished lumber is being loaded via a chute onto a lighter and not onto a schooner. The photo below shows the Point a little later and shows three chutes. Perched at the end of the first chute is the clapper man – his job was to stop the pieces of lumber sent down the chute to allow them to be passed onto the lighter. Interesting snippets what! Thanks Earl for the lend. 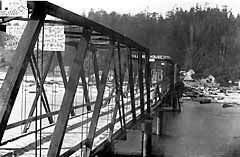 Posted in Mendocino, Mendocino Coast, CA , Local History, tfrweb. 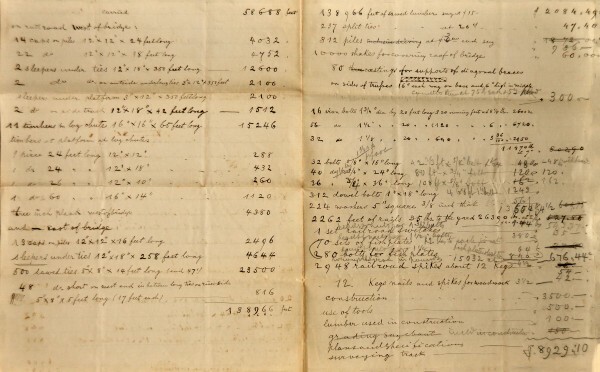 Club member Earl Craighill has been foraging in the Kelley House files in Mendocino looking for documents/maps/materials that show the history of his property in Mendocino. 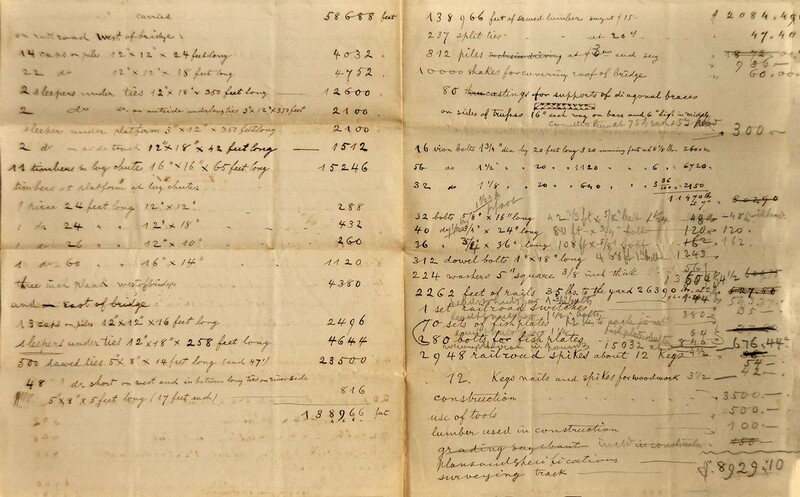 In the course of his search he came across three documents which he copied and forwarded to me. 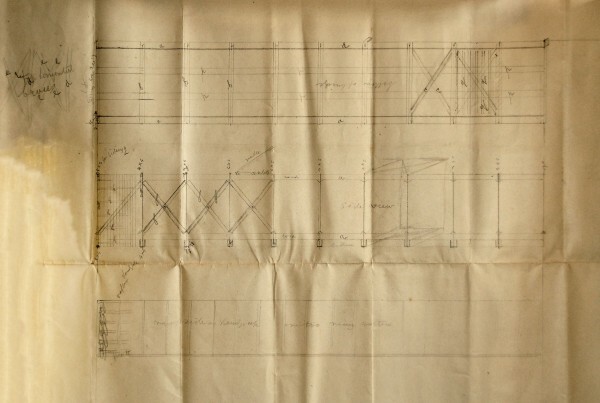 The documents, which are William Heeser’s original notes, are a plan for a bridge and the costing sheets for building the bridge. I persuaded webmaster Roger Thornburn to accompany Earl back to the Kelley House Museum with his camera. This he kindly did and you can see the photos of the documents below. 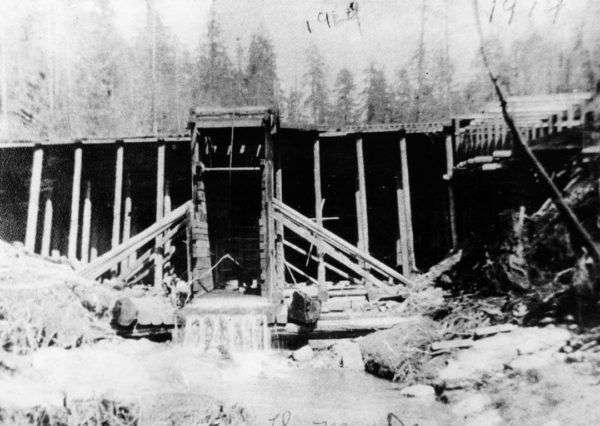 The bridge (I think) is the one that collapsed in the 1906 earthquake. 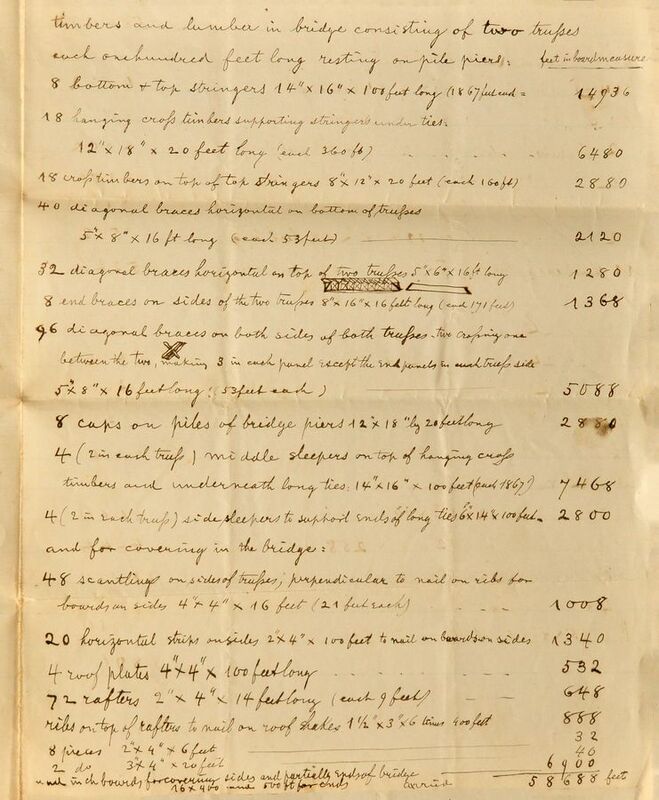 According to the cost sheet the total for the construction was $8,929.10. Me, being the accountant, immediately wanted to know how much this would be in today’s dollars. Well, what’s your guess? I guessed $250,00o which, it turned out, was not too bad. The answer is $236,705.47. 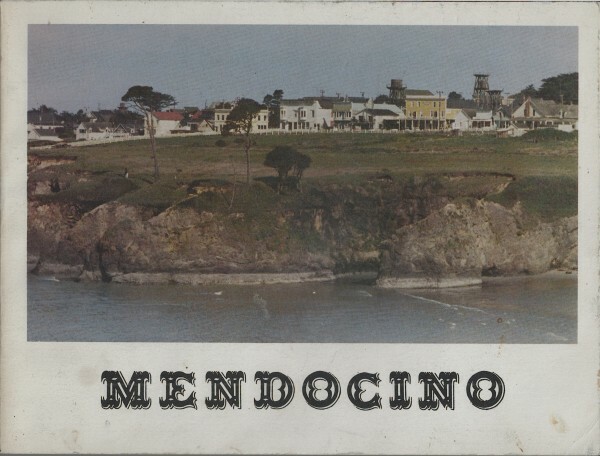 Once upon a time there were two Mendocinos in Mendocino County, California…..
You think I jest? If you do, alas, you are wrong. 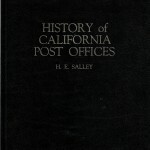 I bought this book, Post Offices of California by H.E. Salley a while back. I have many, many unread books and this one languished in the pile for quite some time. It surfaced because I was invited to the Fort Bragg Philatelic Society meeting. 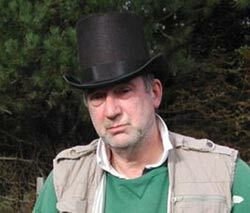 To try to not look like an unknowing fool at the meeting (easy to do) I dug it out and took it along as camouflage. 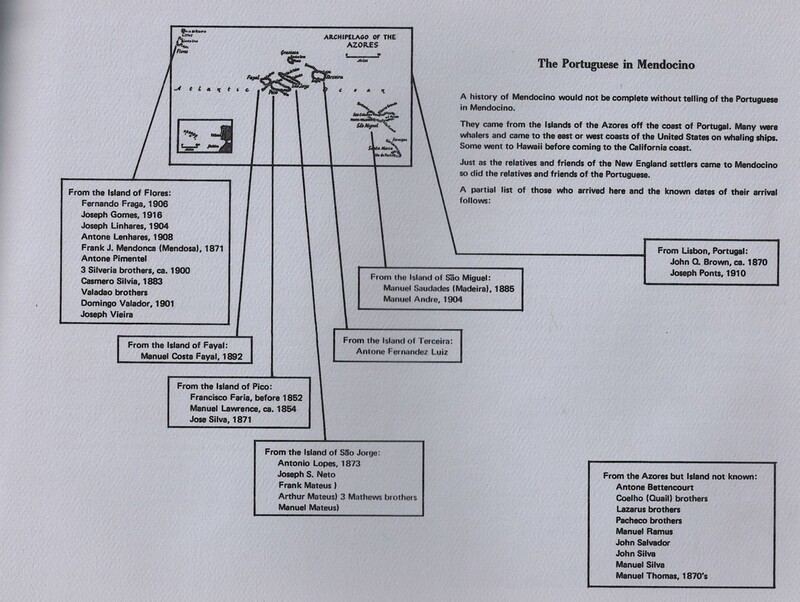 Whilst at the meeting I learned that my book contained the info that there were indeed two Mendocinos. 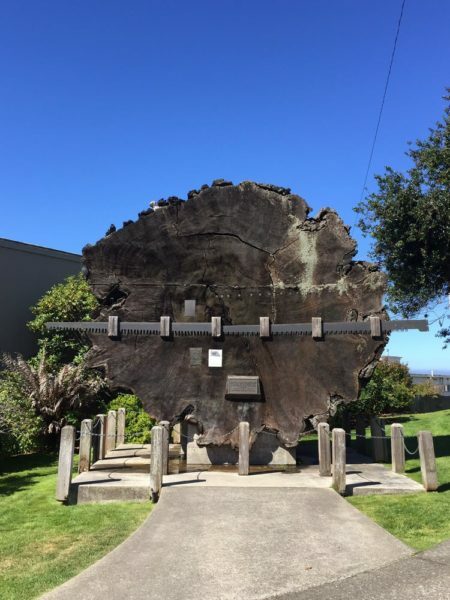 The one I knew about is located seven miles south of Fort Bragg. 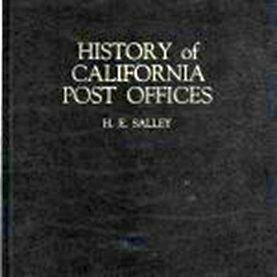 According to my book there has been a post office there since December 1st, 1858. 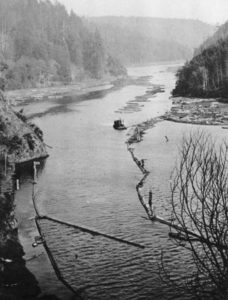 The second Mendocino was named after Cape Mendocino and located 36 miles south of Eureka. The post office was established there on the 19th of October 1852. 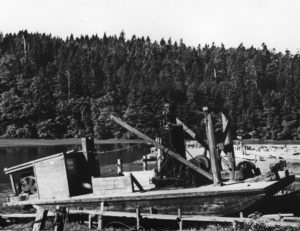 Cape Mendocino was then part of Mendocino County and later became part of Humboldt County when it was created on the 12th of March 1853. 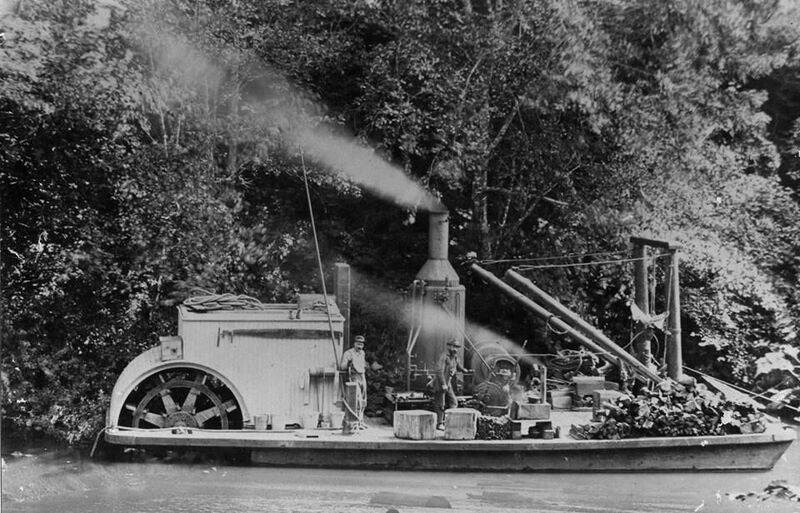 Mendocino #2 later became known as Capetown. The post office didn’t last very long – it closed on the 20th of December 1853. How about that for a piece of totally useless local history trivia? When I was in Mendocino recently visiting the Gallery Bookshop wife Sarah was walking our 114 pounds of drooling canine stupidity on the headlands. As they were not in sight I decided to go into the Ford house to see if I could get a “snapshot” of the family that first lived there. As you’ll see below I did quite well. 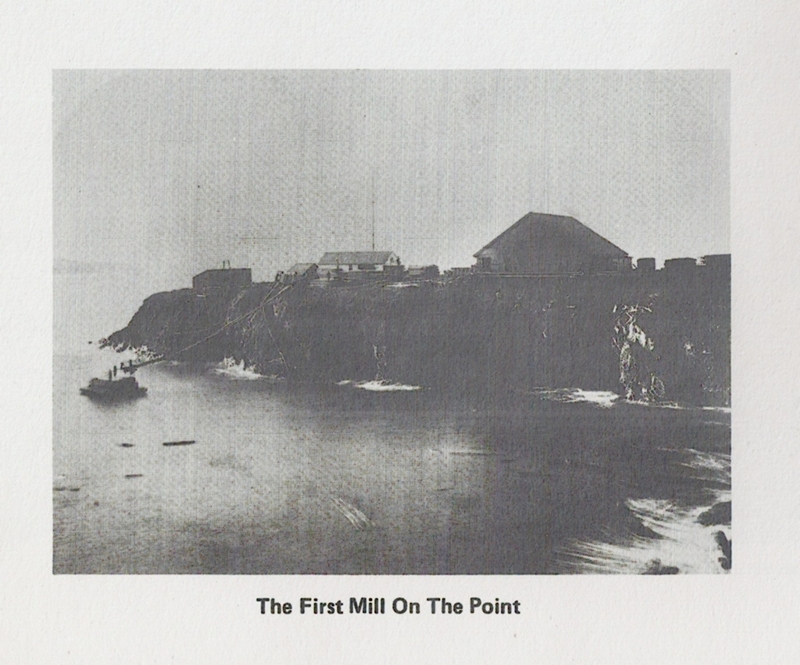 The headlands were the site of the first mill built under the direction of J.B. Ford in what became Mendocino. 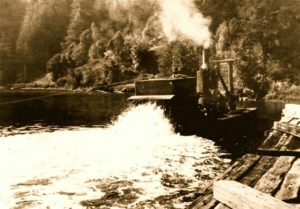 The second mill, also built under the direction of J.B. Ford, was built on the flats to the east of the road bridge that crosses Big River which empties into the sea below Mendocino. 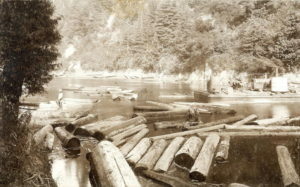 The first mill was abandoned. These mills were owned by a man named Meigs. After Meigs suffered severe financial difficulties (and fled to South America) the mill was taken over by Jerome B. Ford, E.C. Williams, A. Goddefroy, W. Sillem and Henry Bowie. In 1854 Jerome Ford decided to go back east to marry Martha Hayes. He arranged with E.C. Williams to have a house built on the headlands in his absence. 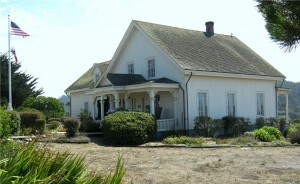 It was the second house built with lumber from the mill in Mendocino. Jerome Ford returned to Mendocino with his bride on July 4th, 1854. Martha was surprised to find that she was one of just three women in Mendocino. She had a another surprise ….. Now I had heard the next piece several times and wondered if it was just a story. Apparently not. Martha was aghast to find that E.C. Williams had built the kitchen and dining room in the basement!!! The home on the ground and upper floor was flooded with light and had magnificent views of Mendocino Bay. The basement kitchen and dining room with just half windows had to be lit by candles day and night. Needless to say a new dining room and kitchen was soon added on the east side of the house. 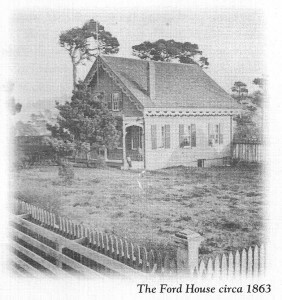 Mrs. Ford surrounded the house with beautiful flowers and a hothouse where grapes were grown. 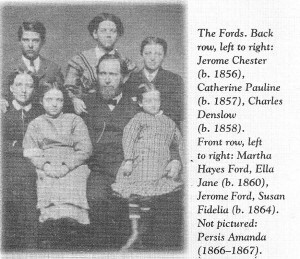 The Fords had six children and they lived in the house until 1872 when J. B. moved to Oakland to provide better education for his children. 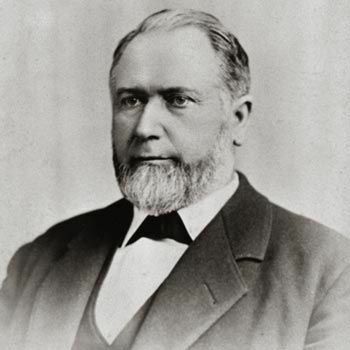 The eldest son, Jerome Chester, returned to Mendocino in 1874 to become at age 18, the youngest superintendent of the mill. 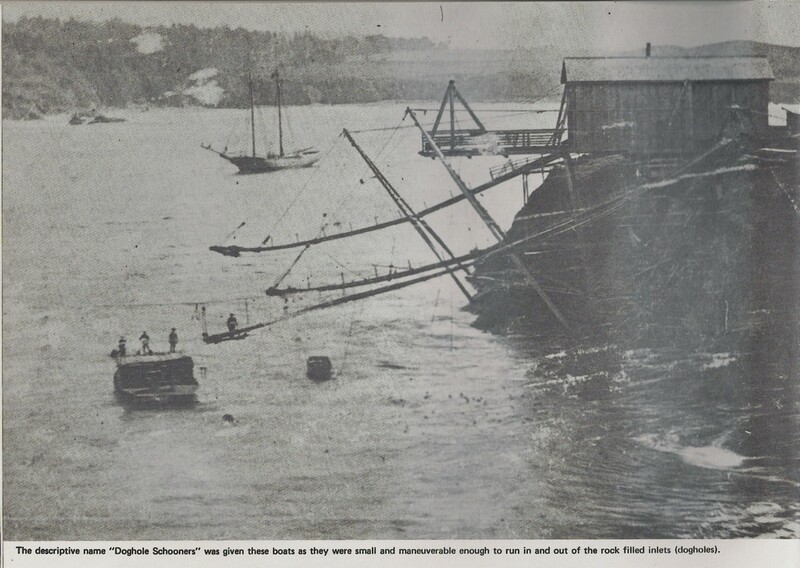 Jerome Chester lived in the family home until the early 1900’s when the mill was sold. 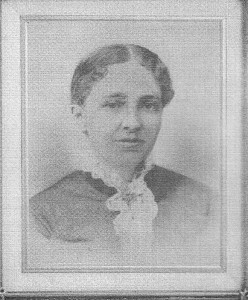 J.B. died in Oakland in October 1889. 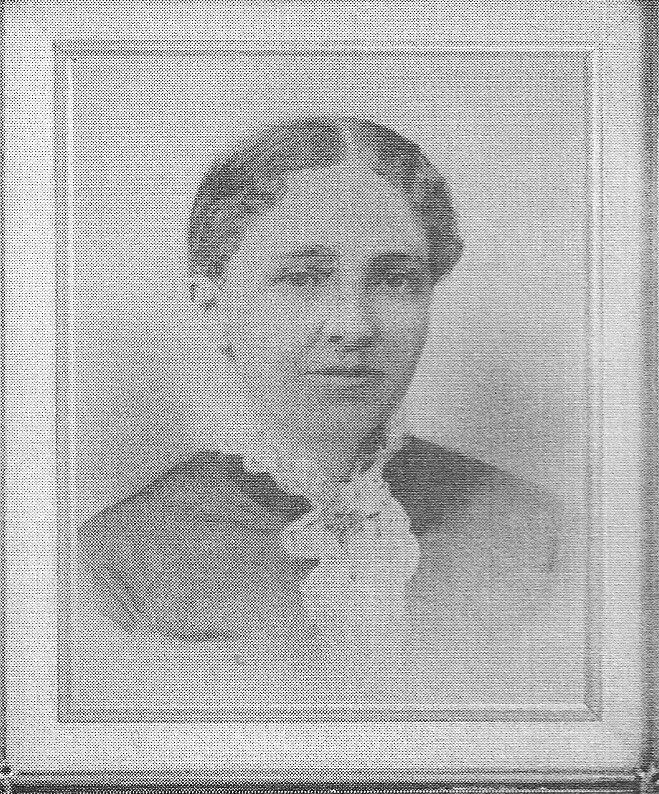 Martha died five months later in April 1890.